Movie review of “Gleason”: Steve Gleason, a Spokane native, was diagnosed with ALS or Lou Gehrig’s disease in his mid-30s, a few years after his retirement from the New Orleans Saints. Rating: 3-and-a-half out of 4 stars. Two summers ago, the ALS Ice Bucket Challenge took the internet by storm; raising millions for a disease that, before all those dousings, mostly flew under the radar. ALS, also known as Lou Gehrig’s disease, strikes roughly 6,000 Americans per year. For those people, and their families and friends, it’s a nightmare diagnosis; a disease that, generally over a few years, robs one of the ability to move, to eat, to speak and ultimately to breathe. Having lost a beloved friend to ALS a few years ago (she was 45, and a bright light who shines on), I wasn’t sure that I wanted to see “Gleason,” Clay Tweel’s documentary about former NFL player Steve Gleason’s fight against the disease. 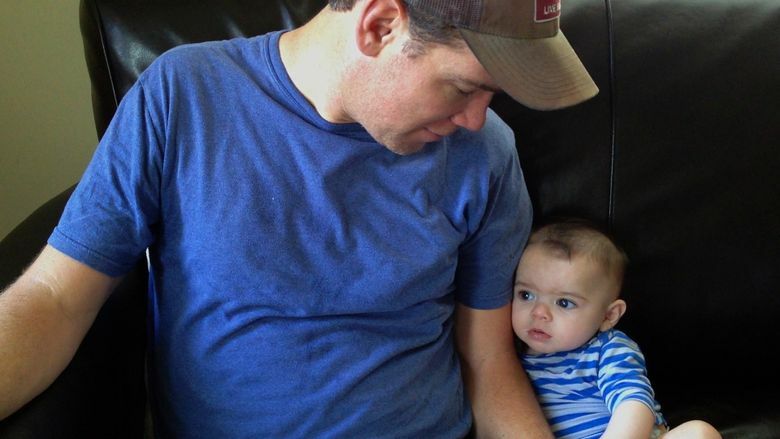 Diagnosed in his mid-30s, just a few years after his retirement from the New Orleans Saints, Gleason, a Spokane native, was optimistic early on — inspired by the news, shortly after his diagnosis, that his wife, Michel Varisco, was pregnant with their first child. ‘Gleason,’ a documentary directed by Clay Tweel. 110 minutes. Rated R for language. Guild 45th, Lincoln Square. Steve Gleason and director of photographer Ty Minton-Small will be present for a Q&A after the 7 p.m. show at Lincoln Square on July 29, and after the 7 p.m. show at the Guild 45th on July 30. Producer Seth Gordon will be present for a Q&A after the 7 p.m. show at the Guild 45th on July 29. There are moments in “Gleason” where it’s very hard — whether you know ALS or are new to it — to look at the screen; moments so devastating you wonder how this couple, and those who love them, can bear it. But there’s also, in this remarkable film, evidence of astonishing courage and miraculous love, exemplified by Steve and Michel’s troubled, honest, unshakable bond, and by the way Steve looks at his tiny son, Rivers, as if he brought the sun. This, “Gleason” is telling us, is what all those ice buckets were for. Watch it not just with your eyes but with your heart.